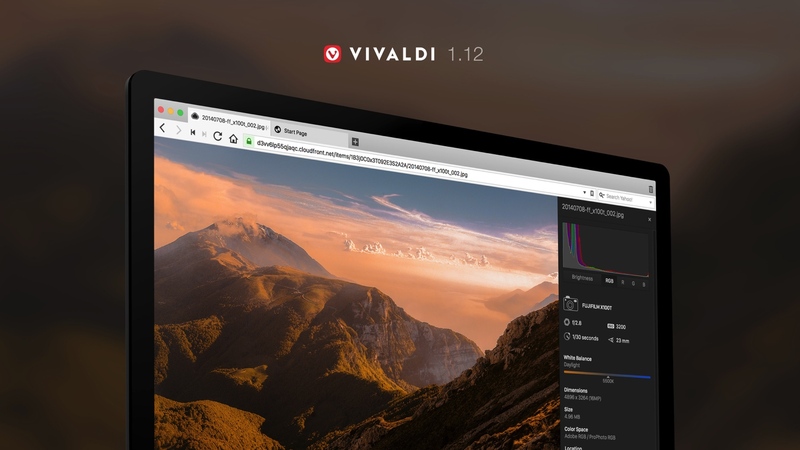 Vivaldi 1.12 debuts three powerful features requested by users. OSLO, Norway – 20 September, 2017 – Vivaldi, the browser for power users, today releases version 1.12 with three highly requested features – instant access to Image Properties, advanced Download Info and an option for toning down saturation for websites’ theme colors. With the new built-in Image Properties feature, many tasks that previously required another application or an extension can be done right in the Vivaldi browser. This is part of the Vivaldi philosophy – adding built-in functionality to boost performance and make browsing smarter. “Photography and design experts will appreciate instant access to the multi-channel histogram and raw data. Bloggers can easily get the dimensions of the image. 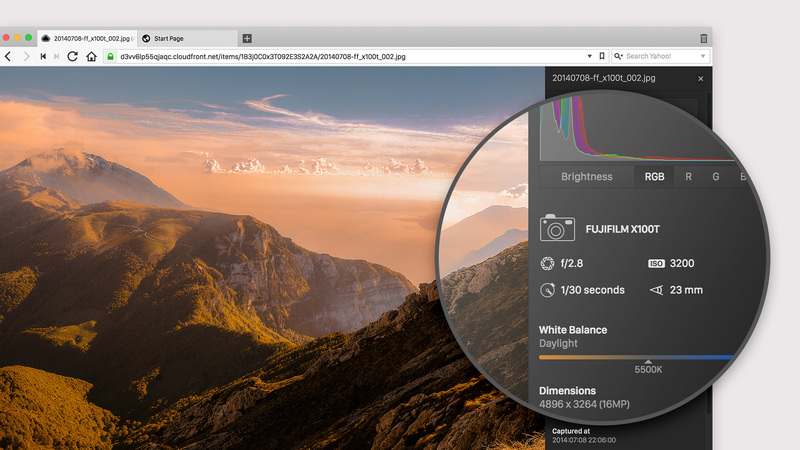 Photo enthusiasts can use this new feature as a tool to learn more about their hobby,” says Henrik Helmers, designer at Vivaldi. The Side Panel in Vivaldi with quick access to Bookmarks, Downloads, Notes, History and websites of users’ choice has long been one of the favorite features of the browser. 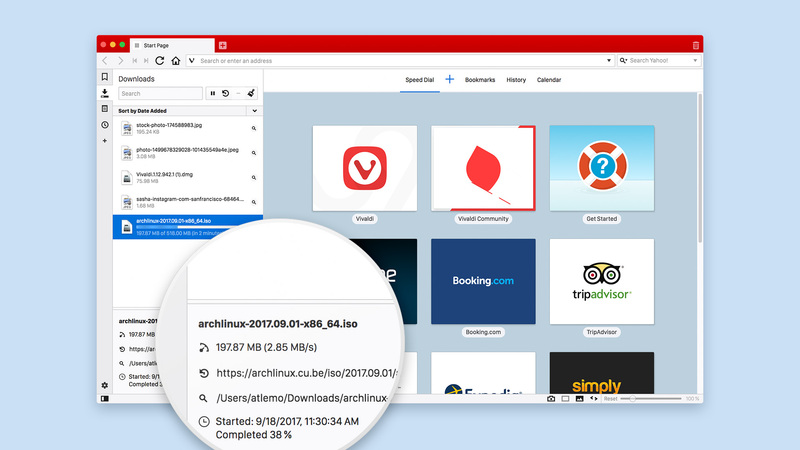 Vivaldi users wanted to see more details in the Downloads Panel, and the new release delivers just that. The Download Panel now shows information about the name of the file, download speed, download URL, destination folder, and date and time. Users can also choose how they want to sort their downloads – by name, type, size, date added and date finished, as well as by address. Another new feature requested by the Vivaldi users is the ability to control saturation for websites’ theme colors. The request came through Vivaldi’s Twitter field and was implemented the next day. Vivaldi developers added a slider to the Settings, allowing users to adjust the saturation level of accent colors. Vivaldi works closely with its dedicated community of users and volunteers to build the browser. Users share their feedback, request new features and help test out the product, thus working together with the team of Vivaldi developers. Vivaldi Technologies is an employee-owned company that creates products and services for discerning web users. In everything it does, Vivaldi believes in putting its users first. Vivaldi is headquartered in Oslo, with offices in Reykjavik, Boston and Palo Alto. Learn more about our mission at vivaldi.com.